Interested in learning more about Mexican culture and history? Join me for a day tour in or around Mexico City! Visit what you’re interested in, at the pace you prefer! ← So That’s What Half the Population Gets? I met Louis Barnett at a Charity Coalition event last May. This British teen (hard to believe he is only 19) has already put his name on the map as an internationally acclaimed chocolatier by producing a wide array of top notch chocolate bars which blend ingredients as improbable as black pepper, ginger, sea salt and chile. With these and other unlikely combinations, Louis has improved what was already a sublime treat, in my book at least, into an exquisite culinary experience. Chocolate, unlike money, does grown on trees. Actually, I stand to be corrected, since chocolate – or rather cacao beans – were used as a rudimentary currency during pre-Columbian times, and they do, indeed, grow on trees! Cocoa beans were so highly valued prior to the arrival of the Spaniards, that the crop doubled as a kind of long distance trading currency (the only perishable ingredient which I know of that was used as money) as well as for tribute – a tax payment to the dominant Mexicas. Its importance was such that there was a measurement system devised just to count cacao beans (400 beans made up 1 zontle; 20 zontles were 1 xiquipil; and 3 xiquipiles or 24,000 beans was one load – the weight that an individual man could carry), thus, money did grow on trees! 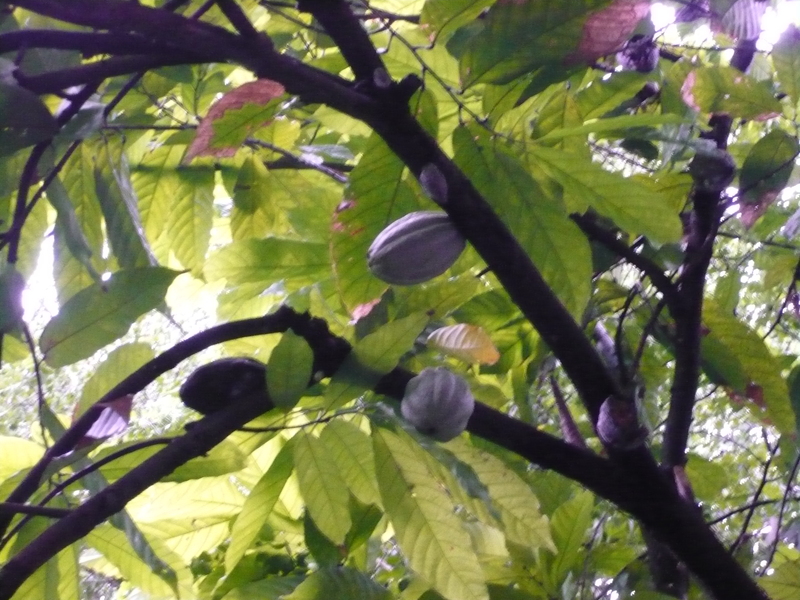 Cocoa pods jutting out from the tree branches, a rather peculiar site to see! 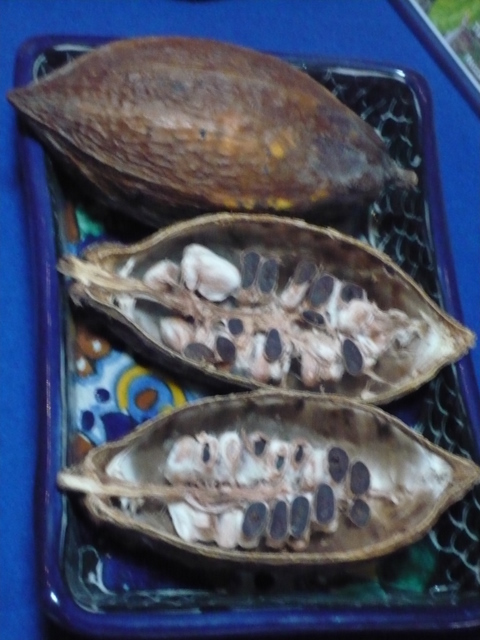 Theobroma cacao (its scientific name) grows on small trees native to Mexico and Central America (Guatemala, Honduras and El Salvador), with its pods oddly jutting directly from its trunk (check out my photo below). The Maya people used the beans to make a chocolate beverage used for rituals, which also doubled as a status symbol among the pre-Hispanic elite. Anthropologists are now adjusting their calculations and proposing that chocolate did not make its first appearance in the Maya diet some 2,500 years ago as originally believed, since there is evidence that its consumption can be traced as far back as 1200 B.C. with the Olmec culture on the Gulf Coast of Mexico. Who would have known that raw cocoa beans resemble nuts! 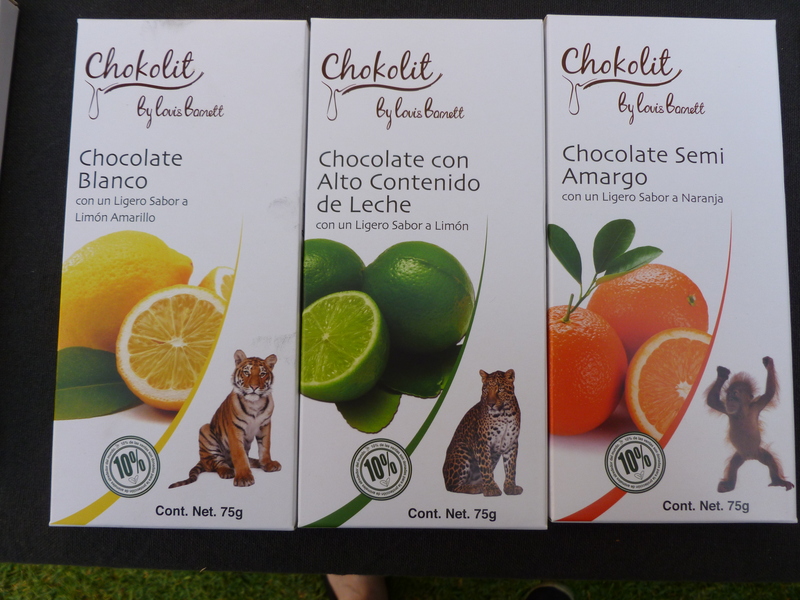 Connoisseurs often complain about the quality of Mexican chocolate candy, particularly when comparing it to Belgian, Swiss or (yes) Russian fare. At first blush, this seems inexplicable given that cacao originated in southern Mexico. 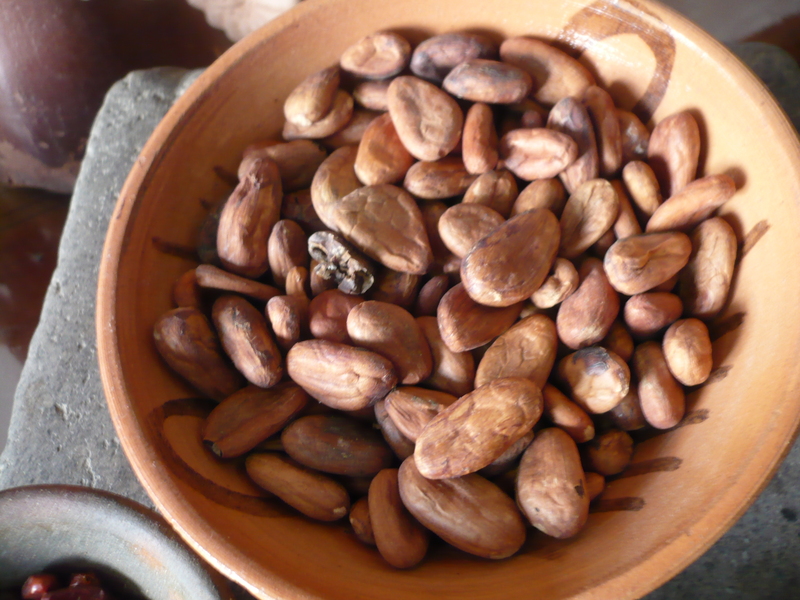 Yet, a quick look at the history of cacao itself explains this phenomenon. The word “chocolate” is derived from the Nahuatl word chocolatl. “Xococ” means bitter or sour (think the xoconostle fruit, which is bitter, for example) and the prefix “a” or “atl” means water, referring to the liquid it was prepared with – as a savory beverage. “Cocoa” is derived from Classical Maya, ka-ka-wa – with the last vowel is dropped, the word is pronounced “kakaw.” The tree was referred to as “cacahoacentli” in Nahutl and the seeds “cacahoatl,” most likely borrowed by the Mexicas (a.k.a. Aztecs) from the Maya. Since, there was no milk (no cows or other beasts of burden in Pre-Colombian America) nor sugar (cane sugar was introduced to the Americas by Hernán Cortes via the Canary Islands, originating in India), Mexican hot chocolate or hot cocoa was prepared with a variety of recipes calling for water, vanilla (also native to Mexico), annato seeds (giving it a distinct red ting), chiles, ground pepper, dried and ground flowers, and at times honey. Even today, in states such as Oaxaca, diners have the choice of requesting their hot chocolate be prepared with water or milk, ground almonds or cinnamon (not native to Mexico but favored by many today). 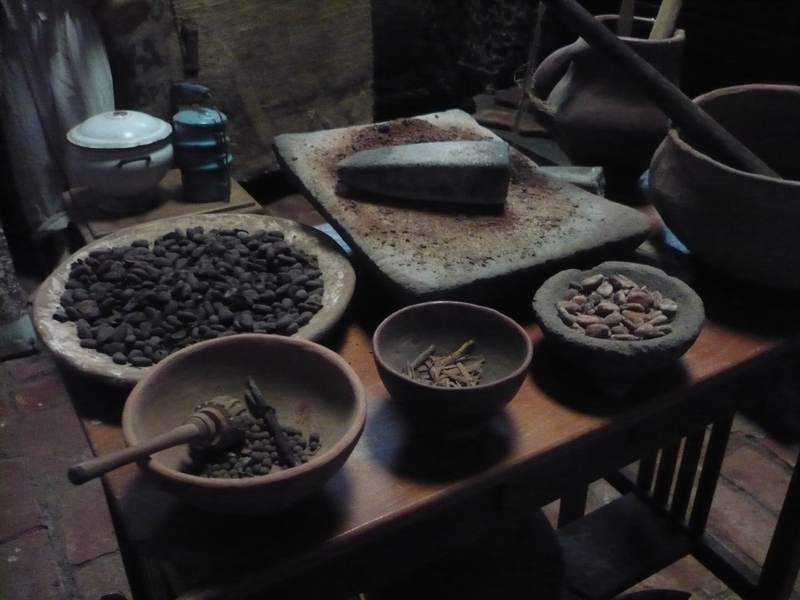 So, although cacao drinks were widely consumed among the native elite, chocolate candy production was virtually unknown. This much coveted delicacy is facing a revival in Mexico with local chefs (Jose Ramon Castillo of Que Bo! is one popular chef who comes to mind) and signature chocolate shops cropping up all over the city (L’Atelier among others) often creating innovative combinations with commonplace ingredients such as mole or tamarind. Meanwhile, Luis has taken on the challenge and risk of importing his products to Mexico, much like bringing coals to Newcastle! His success lies in inventing a unique product, unlike anything else available in this country today – in terms of quality and combination of flavors. His brand, launched this Spring under the label “Chokolit,” is available in a local department store chain around Mexico. 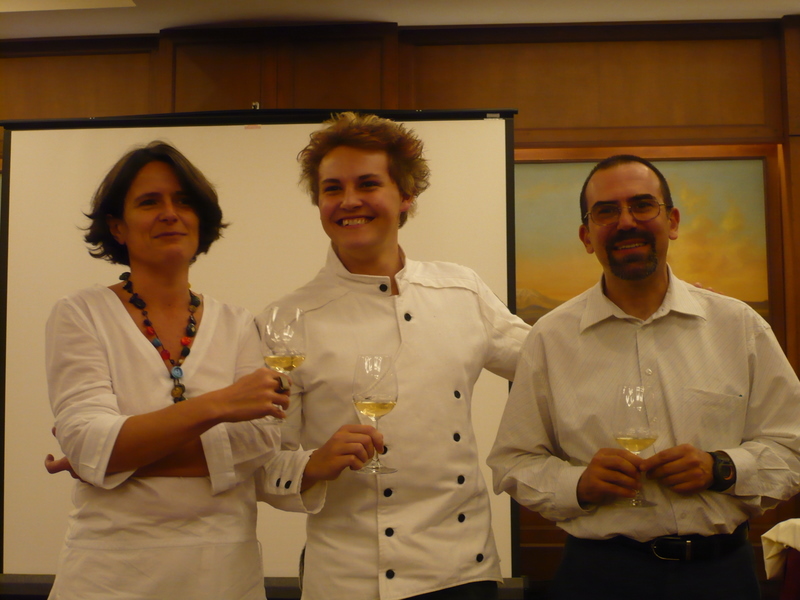 My first encounter with Louis and Chokolit was at an event where 4 of his chocolates were paired with 4 wines – two French and two Italian. I admit that I had never tasted chocolate with wine before – what I thought as unlikely duo turned out to be a match made in heaven. All that lovely theobromine (by the way, the scientific name of the tree as well as the active ingredient in chocolate was taken from the Greek word for “food of the Gods” – rightly so! ), coupled with PEA (phenethylamine, another mood enhancing alkaloid present in chocolate) and alcohol was not only chemically right for my brain (a serotonin enhancer) but perfect for my taste buds as well! The quality of Louis’s chocolates is unbeatable in flavor and texture – smooth, subtle, melt in your mouth … in combination with the hand picked selection of wines provided by Alessandro Picone Morelli of Vininter and Sophie Avernin of Grandes Viñedos de Francia (see their photo below) didn’t hurt! Sophie, Louis and Alessandro tasting the fare! 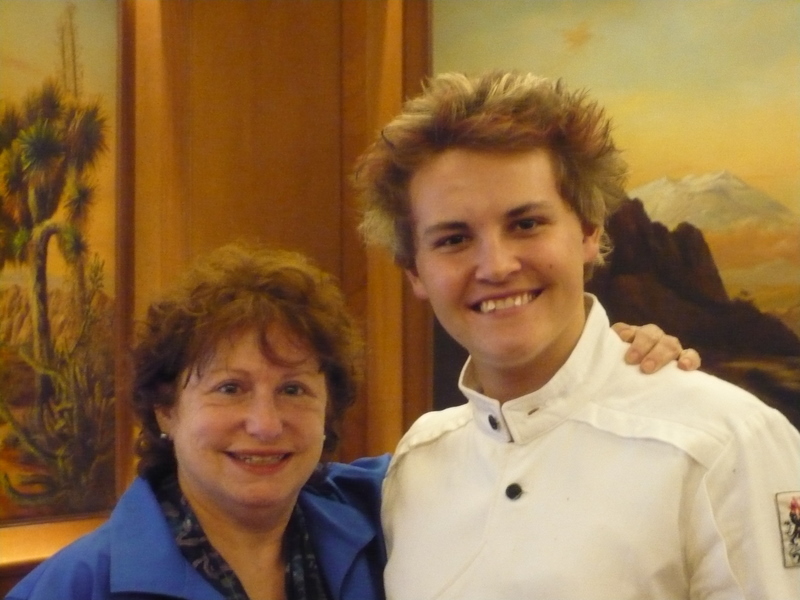 Louis, home schooled at the age of 11 due to learning disabilities, found his calling by age 14. This dynamic, charismatic young man, brimming with energy and a promising future, has already won several awards including Emerging Entrepreneur of the Year Award in 2011 and Lord Carter Award for excellence in the food industry in 2009. On top of that, Louis has a social conscience, earmarking a portion of his earnings to selected charities. 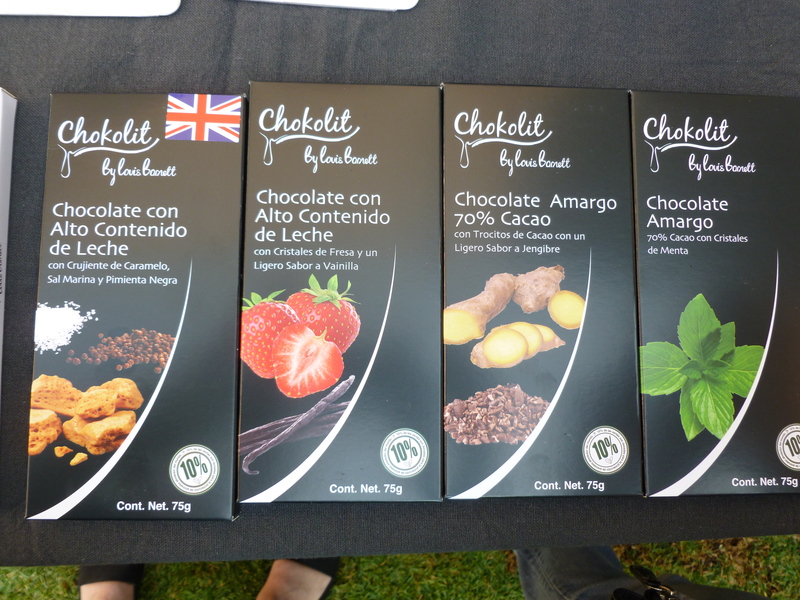 If you ever come by any Chokolit products – don’t pass up the opportunity to try them. Good luck to Louis and kudos to Francesca D’Agata, founder of Charity Coalition, an umbrella not-for-profit agency, who organized the tasting, which gave me the opportunity to meet Louis and learn more about what I love – chocolate and wine. Francesca untiringly works to raise funds for 11 charities while proving fun events ranging from wine tastings to teas to art fairs. If you are ever in Mexico, try to coincide with a Charity Coalition sponsored event – they are always memorable – lots of fun with the proceeds going to a good cause. Yum, I am such a ” chocolate freak” and loved the history of it as “spun” by Lynda. I found the information in this article fascinating. I have also just met Louis Barnett and I can second the notion that he is a young man with a great spirit and a good heart. Not only that, his Chokolit bars are incredibly delicious. You must seek them out at Liverpool……….and relish every bit. Chocolate with chili………..who knew? now my new favorite. HI Lynda – I have just come across your site through your other tour website, and I just had to send a note to say hello and tell you what a great blog you have. I have only had a chance to read a few posts, but they have been so interesting and informative and I wish I had come accross them earlier! I will be checking in regularly! Thanks for your kind words. Sometimes blogging is a lonely venture. I'm Lynda Martinez del Campo, a linguist, teacher, social scientist, journalist, history buff, tour guide, amateur photographer, full time resident of Mexico City for three decades, aficionada of museums, culture and art, always reinventing myself. I give tours in and around Mexico City specializing in anthropological sites, viceregal art, walking tours and popular culture under the name "Understand Mexico." All of the photos that appear in this blog have been taken by me personally (except for a few sporadic historical photos which I specify), and are protected under Creative Commons License. Please, enjoy them and feel free to use them, but don't forget to give me credit!